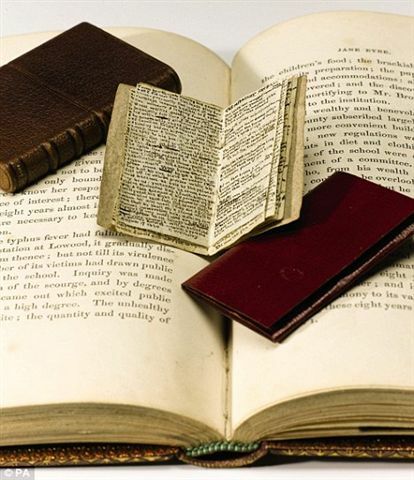 In December last year, this mini manuscript sold for $1.1 million to the Museum of Letters and Manuscripts in Paris, and now a letter Charlotte Brontë wrote to Miss Holmes, a woman who lived with the family of the novelist William Makepeace Thackeray, will be going up for auction this June. Charlotte tells Miss Holmes that she can relate to the toil of governesses. 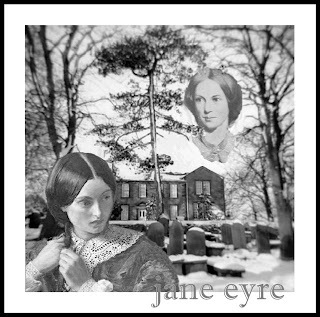 She, too, had been engaged as one for several months, and later had introduced her readers to Jane Eyre, a character well familiar with the occupation while living at Rochester's manor. Charlotte understood how hard those women worked, and could well remember the weeks of loneliness spent in a stranger's house. "That life has on me the hold of actual experience; to all who live it--I cannot but incline with a certain sympathy; and any kind feeling they express for me--comes pleasantly and meets with grateful acceptance." Jane Eyre's experience as a governess was marred by the existence of the mad woman in the attic; consequently, she had to always look over her shoulder, for fear of physical harm or worse. The wild woman, locked in a room, is an apt metaphor for a woman's passion needing to be leashed, while her powerful sensuality waits for the right moment to escape the bonds of Victorian propriety. Charlotte's experiences as a governess usually forced her to subdue a different kind of passion: her frustration and anger over the lack of control of her wards, which drove her to conclude that she lacked the temperament for the job. She was able to transmit her experiences into Jane, a conscientious, moral, and intelligent character similar to the author herself, who also kept a watchful eye on those unruly thoughts and desires. "I know my own sentiments because I can read my own mind, but the mind of the rest of man and woman-kind, are to me sealed volumes, hieroglyphical scrolls which I cannot easily either unseal or decipher; yet time, careful study, long acquaintance overcome most difficulties, and in your case, I think they have succeeded well in bringing to light and Construing that hidden language whose turnings, windings, inconsistencies, and obscurities, so frequently baffle the researches of the honest observer of human Nature." The 3-page letter to be auctioned next month is expected to fetch $30,000, or around $10,000 per page. This might be considered low since another letter of Charlotte's sold in June 2010 for $55,000. Margaret Smith has painstakingly accumulated about 950 letters, ranging from 1829 to February 1855, in a wonderful three-volume set entitled The Letters of Charlotte Brontë. The book is priced considerably less than those auction amounts, but the letters are obviously not the hand-written versions. Nonetheless, Charlotte's correspondences to her friends and editors provide a glimpse into this very private woman's thoughts and views. What would Charlotte think if she knew her little 'scribblings' were selling for astronomical amounts of money? She would certainly be shocked, but her real concern might be that her private letters were being read by thousands of strangers. 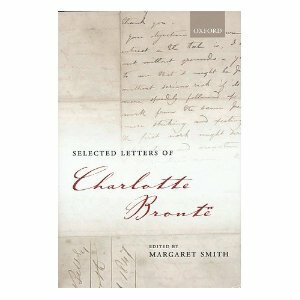 I've read some of the Margaret Smith collection and it's wonderful to read Charlotte's letters. She would be surprised to see her letters selling for thousands of dollars (who wouldn't be?) but privately delighted. Thank you for posting this. I enjoy your blog.